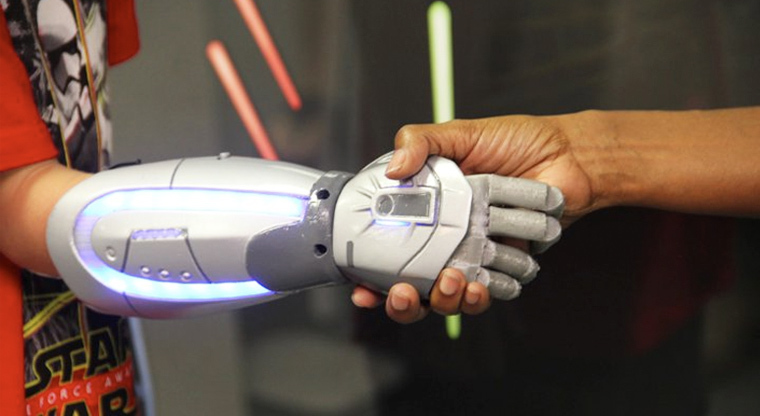 NHS is planning on making Bionic hand prostheses more available, as they have already started Bristol clinical trial. The four pieces which make up the prostheses can be customised by individual users, depending on their body scans. The users muscle movement can activate the sensors so that the hand move the hand back and fourth, opening and closing hands. NHS says it would be free to UK young amputees, if the 6-month trial goes well. Open Bionics is printing 3D hand prosthetics in cooperation with NHS, so that the price will be reduced to £4684 from £50742. NHS would cover some of the costs, since it is still a lot for some residents.